The United States Pan Asian American Chamberof Commerce Education Foundation - Southeast Region is an affiliate of US Pan Asian American Chamber of Commerce Education Foundation (USPAACC), founded in 1984 national nonprofit, nonpartisan Pan Asian American organization representing Asian American and Asian American-related groups in business, sciences, the arts, sports, education, public and community services. As a thought leader with 30-year of track record in business matchmaking , strong partnerships with corporations, government, and Asian American businesses, USPAACC is poised to raise the bar to yet another level. USPAACC Southeast Region promotes, nurtures and propels economic growth by opening doors to contract, educational and professional opportunities for Asian Americans and their business partners in corporate America, the federal government, and the small and minority business community in the Southeast. 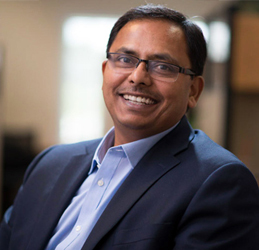 Ravi Chander, strategic visionary and thought-leader, serves as Chief Executive Officer of Softpath System, a leading IT staffing solutions provider and technology consulting firm located in metro Atlanta. Chander creates and drives the company’s vision with a key focus around job creation and helping clients win in the global marketplace. With more than 17 years of expertise in the development and delivery of innovative technology solutions, Chander is responsible for management of one of the fastest-growing technology & staffing firms in the nation with over 800 employees and two regional offices. His firm specializes in IT and non-IT staffing, business intelligence, data analytics (MDM) and global healthcare staffing for a wide spectrum of Fortune 1000 clients. Under his leadership, Softpath has gained recognition as a Top Diversity Business with numerous awards spanning the last five years. Chander attributes his success to remaining focused on the needs of his clients and always striving to make an impact in the lives of others. Chander gained prominence as a small business advocate through his support of small, women and minority business enterprises. In 2015, he was honored by USPAACC as a Fast100 Asian American Business for growth and sustainability and received this honor for three consecutive years. 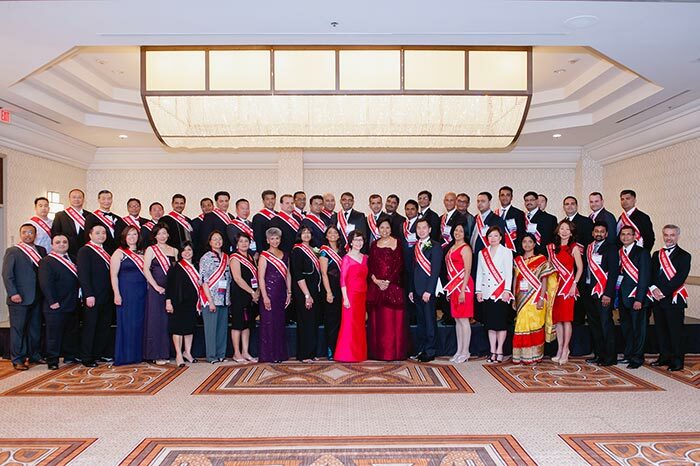 In January 2017, Chander was appointed President of the U.S. Pan Asian American Chamber of Commerce – Southeast (USPAACC-SE) to promote the growth and development of Asian American businesses across a six state region. 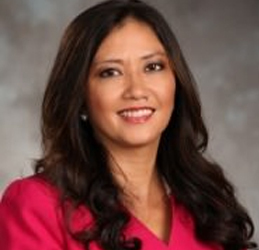 As president, Chander creates opportunity for Asian American business owners to connect with buying agents and corporate supply chains. He serves as an advocate and champion for the Pan Asian America business community throughout Georgia, Florida, Alabama, Mississippi and the Carolinas. 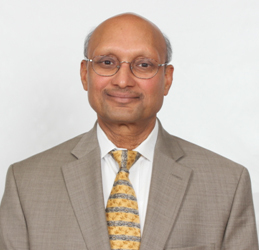 Chander is a former protégé of Accenture Diverse Supplier Development Program (DSDP) and Past President and Member of the Emory Druid-Hills Rotary Club. He donates his free time to community-based organizations and annually supports his favorite charities Rotary International for Clean Water Projects & American Cancer Society. He holds a Masters degree in computer science and a Bachelor’s degree in electronics from Kakatiya University, India. He is married to Sushumna Roy Jalajam, President of Softpath System. Ravi and Sushumna, along with their three daughters, reside in Duluth, Georgia. 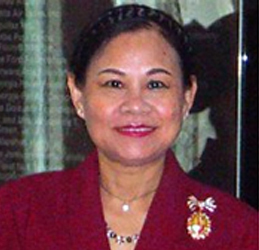 Vice President, GMI Group, Inc. When she is not busy at GMI headquarters, participating in meetings for various organizations, or volunteering within the community, Kayla dedicates the remainder of her time to her family. On her rare days, off, you can find Kayla being a soccer and volleyball mom cheering on her children at their athletic events, or enhancing her love for the culinary arts in the kitchen. .
Barbette is a Supplier Diversity and Development Consultant at Georgia Power and provides Supplier Diversity Support to the Georgia Power Generation Business Unit. She has a BS in Business Administration from Mercyhurst University and a MS in Business from Nova Southeastern University. 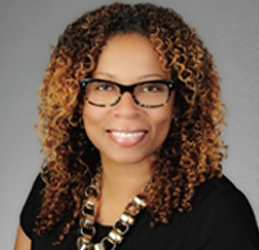 Lissa joined SunTrust in July, 2013 to re-launch and provide direction and management of SunTrust’s Supplier Diversity initiative. She is the interface between SunTrust and the diverse supplier community and is responsible for working with its lines of business and functions to expand the company’s utilization and development of qualified minority, women, veteran, disabled, LGBT-owned and small businesses and ensure that the bank is in compliance with federal guidelines concerning diverse supplier inclusion in procurement activities. 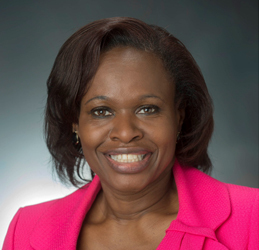 She brings with her over 20 years of experience and expertise in Supplier Diversity, Procurement, Sales and Logistics from Georgia-Pacific, Scientific Games International and Kennesaw State University. 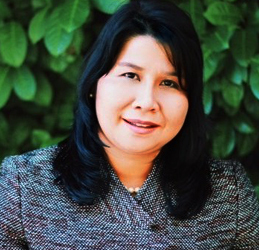 Lissa is currently the Treasurer of both the FSRSD (Financial Services Roundtable for Supplier Diversity) and the USPAACC-SE (US Pan Asian American Chamber of Commerce- SE) and actively participates on committees of the GWBC (Greater Women’s Business Council) and the GMSDC (Georgia Minority Supplier Development Council) where she also served as board chair. She’s been recognized for advancing diverse businesses by the National Black and Latino Council, Greater Women’s Business Council and Atlanta Women Magazine. She mentors small businesses through the Georgia Education Foundation and the Greater Women’s Business Council programs and volunteers with organizations such as Cool Girls Inc. and Junior Achievement of Georgia. Lissa has a BBA in Marketing from The University of Georgia, MBA in International Business from Mercer University, PhD in Business Administration from Warren National University and is a licensed associate real estate broker, certified Zumba instructor and entrepreneur at heart. She resides in Stockbridge, GA with her husband, Jonathan Miller. Shiv Aggarwal has been actively serving his community for the last 34 years in the USA. Along with starting his own real estate business, Shiv has created a foundation bringing the Indian community together in Baton Rouge, Louisiana and Atlanta, Georgia. 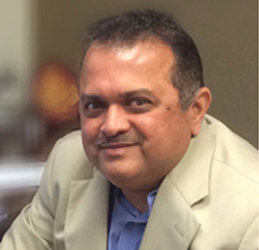 From founding the first and only indoor South Asian mall in North America to leading numerous cultural and nonprofit organizations, Shiv focuses his energy, time and finances on supporting the South Asian community in the U.S. and Atlanta, Georgia. As the first indoor South Asian mall in North America, Global Mall holds community at its heart and core. Shiv founded the mall to bring people of all backgrounds together to learn and experience the rich Indian culture. The mall serves as a community center with everything under one roof including temples, dance & music academies, learning centers, a yoga studio, banquet halls, a food court and full service Indian restaurant along with jewelry, clothing, gift, Ayurveda and homeopathic stores. Global Mall has hosted several Indian dignitaries & religious leaders including Baba Ramdev, Sri Sri Ravishankar, Amma Krauna Ma, Cabinet Minister Honorable Subramanian Swamy, the Ambassador of India to the United States, Nirupama Rao, for which a banquet for 350 Indian leaders was held, a welcome reception for the Consulate General of India, Mr. Ajit Kumar, countless actors, singers and artists in Bollywood and Tollywood, etc. Gwinnett Village CID is a local area improvement organization bringing communities growth, safety, etc. Successfully implemented a Path to employment Program at Concept Software to provide training and employment for over 100 American Students in last 3 years. Recipient of Inc.5000 award for the Company for 2016. Has international experience working in various business environments in US and India. To be a advocate for Asian American and Minority Businesses and Corporations. To be involved in community programs for providing Career guidance and Technology education to Minority individuals. To increase the awareness and membership base of a organization by involving in community events and utilizing marketing programs. Bring the necessary Technology expertise to automate current programs and processes for better success to existing members. Bring the knowledge related to Technology education to get more people ready for tomorrows IT Jobs. Direct Marketing, Campaigning, organizing events. 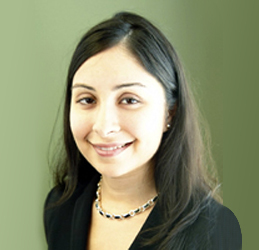 Sheetal Desai is an accomplished attorney and partner at The Trusted Lawyers, a Desai Law Group, PC. Her areas of practice include commercial transactions and real estate, corporate law and commercial litigation. A product of the University of Wisconsin Law School in Madison, Wisconsin, Sheetal began her professional career as an attorney in Chicago. Two years later, she married Mr. Ritesh ("Rick") Desai and moved to the Atlanta area where she has been practicing law ever since. Mrs. Desai has been admitted to the bar in three states: Wisconsin, Illinois and Georgia. Sheetal Desai has worked closely with many business and community leaders through her service as a volunteer with world-wide organizations such as BAPS and BAPS Charities. 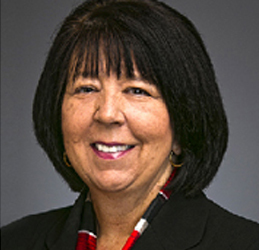 She has held various leadership position such as an advisory board member for United Way – Gwinnett and has led women’s initiatives with the Georgia Indo American Chamber of Commerce. Mrs. Desai has also volunteered her legal services for such causes as APAC and VITA. Sheetal and Rick are the proud parents of their beautiful daughters. 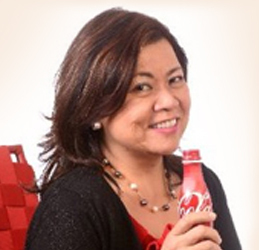 She enjoys cooking, travelling and spending time with her family. She is responsible for leading and promoting Accenture’s well-established efforts to maximize procurement opportunities with diverse businesses as suppliers and subcontractors within 16 countries. 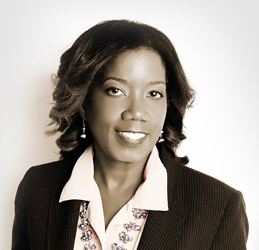 Nedra spearheads Acceture’s Diverse Supplier Development Program and has grown Accenture’s mentoring program (DSDP) in four geographies (US, Canada, UKI & South Africa). Her experiences range from Technology Support, Delivery Center Implementations, SAP Development, Operations Management, Customer Service , Strategic Sourcing, Procurement and Category Management. 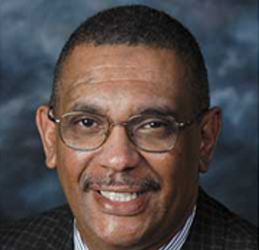 William Haley is responsible developing and managing Aflac’s supplier diversity program. This initiative also supports mentoring suppliers with other affinity organizations in developing business structures and processes that help enhance their potential to be successful suppliers for major corporations like Aflac. William has over 35 years of procurement experience with corporations and government agencies such as BellSouth (AT&T), the Atlanta Housing Agency, the Procurement Department of DeKalb County Georgia, and Aflac. He holds board positions on the Greater Women’s Business Council (WBENC affiliate), the Georgia Minority Supplier Development Council (NMSDC affiliate), the US Pan Asian American Chamber of Commerce - Southeast (USPAACC-SE) and formerly the Georgia Micro Enterprise Network (GMEN). He is Aflac’s corporate representative with the Georgia Hispanic Chamber of Commerce (GHCC), the National Veteran-owned Business Association (NaVoBA), and the Latin American Chamber of Commerce (LACC). He has contributed as a corporate advisor to the Premier Development Program conducted by the University of Georgia’s Small Business Development Center (SBDC). Mr. Haley is a Certified Purchasing Manager (CPM), and holds a B.A. in Mathematics, and a M.S. in Economics.